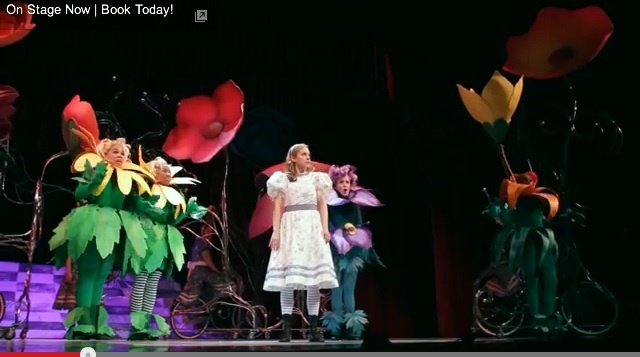 For a tantalizing glimpse of the production, see the “Alice Through the Looking-Glass” preview on YouTube. 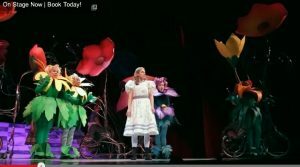 For more about the Alice opening show, see JBNBlog. Flower from Alice Through the Looking-Glass, April 5, 2014. 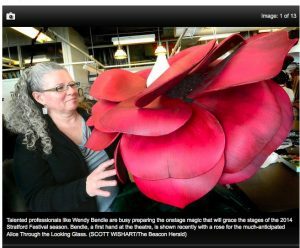 Courtesy Stratford Beacon Herald. Several Forum events and activities offer a chance to explore Alice Through the Looking-Glass, including Alice Adventure Lunches, a themed meal and activity to ignite your child’s imagination before the magic unfolds on stage; Adapting Alice, a panel discussion including Jillian Keiley and Peter Hinton, playwright for the Shaw Festival; and Acting Up: Alice, a drama workshop in which 8- to 10-year-olds use costumes to explore scenes and characters from the play. Alice Through the Looking-Glass is a Schulich Children’s Play presentation and produced in association with Canada’s National Arts Centre. 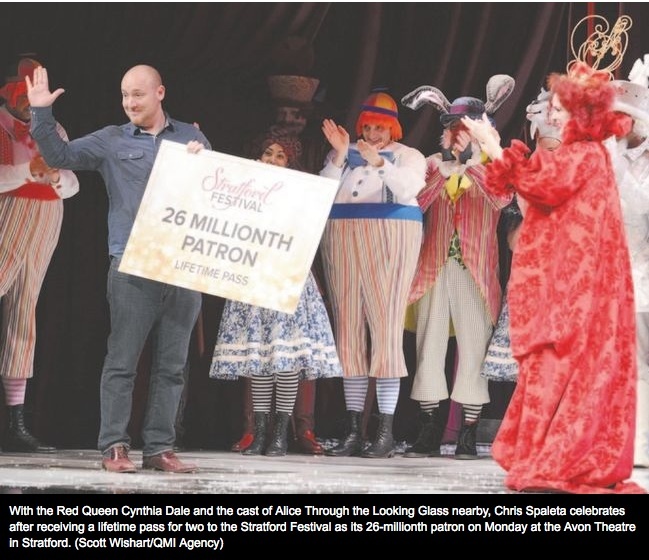 At the May 5, 2014 preview performance of Alice Through the Looking-Glass, Chris Spaleta from Seaforth, Ontario was presented with a lifetime pass for two for being the Stratford Festival’s 26 millionth patron! 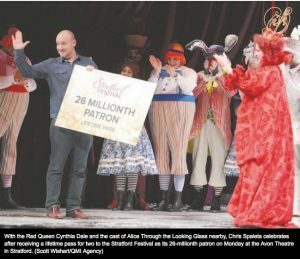 May 5, 2014: Chris Spaleta with the cast of Alice Through the Looking-Glass. Photo courtesy Stratford Beacon Herald.